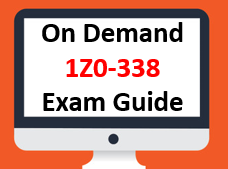 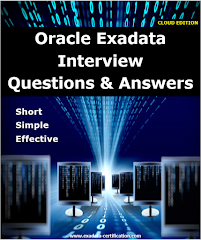 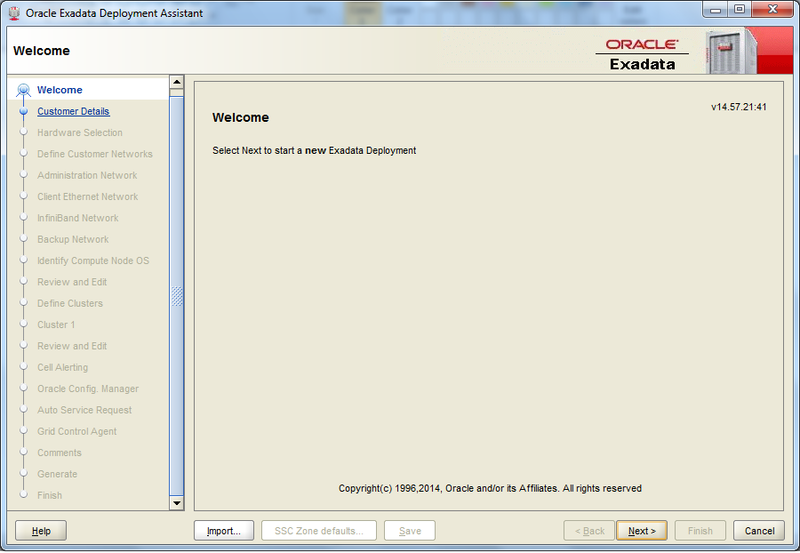 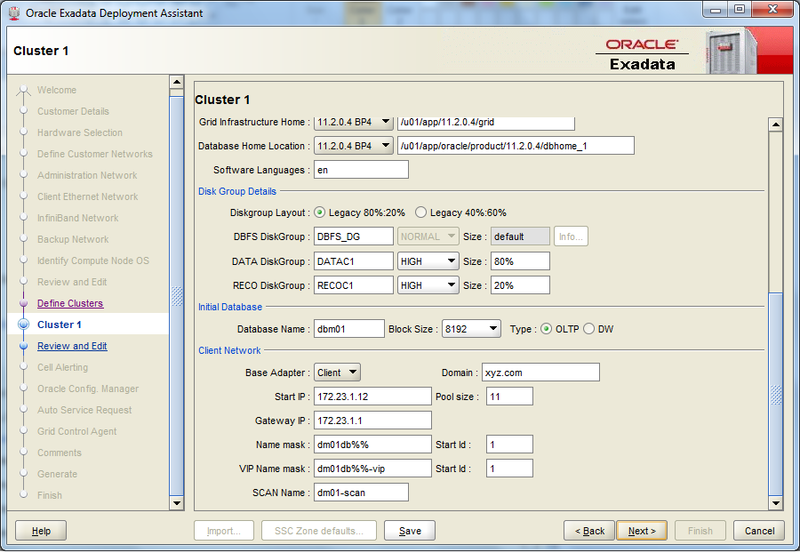 First download Oracle Exadata Deployment Assistance from below link as per your respective Operating System. 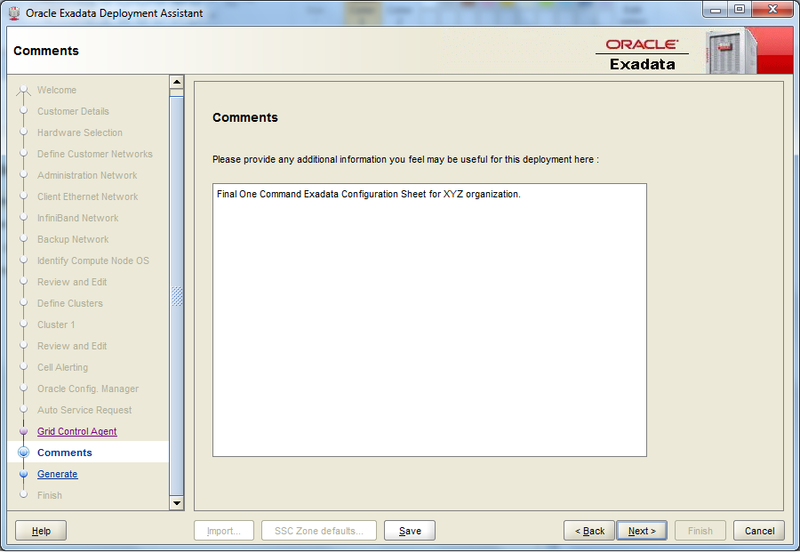 Install it on your machine and click on config to open deployment assistance. 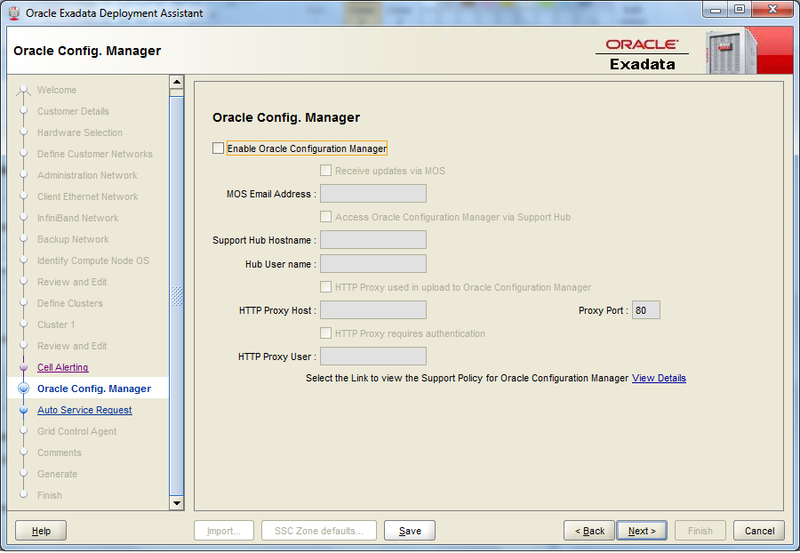 Below are the detailed steps to fill the configuration details. 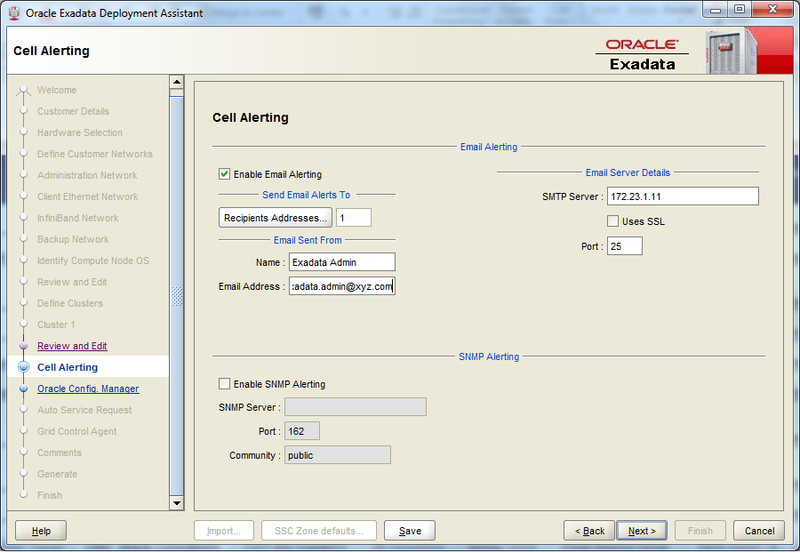 Provide organization name, application details, timezone with NTP and DNS Server details. 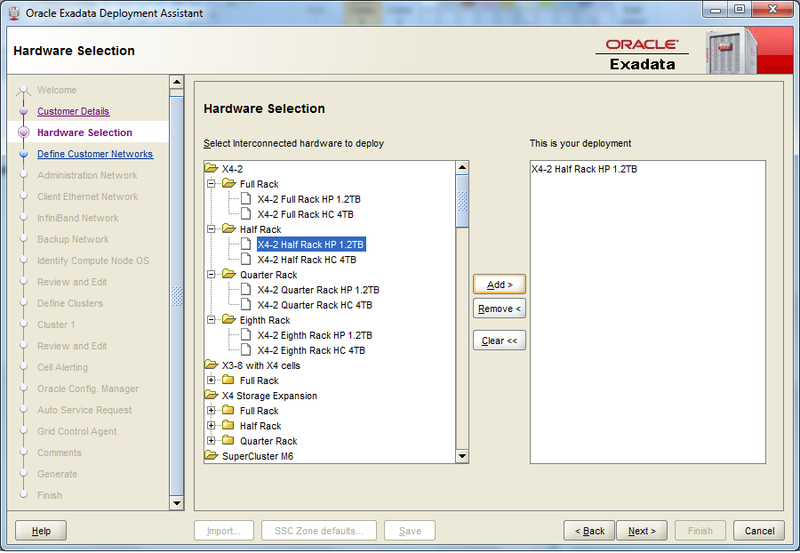 Select appropriate Exadata Configuration Rack, in our case it's Half Rack High Performance. 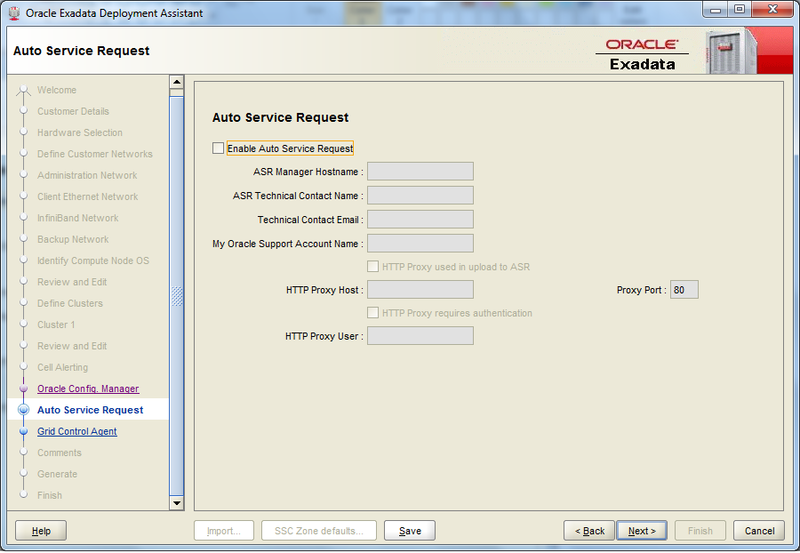 Provide network details for Administration and Client connectivity. 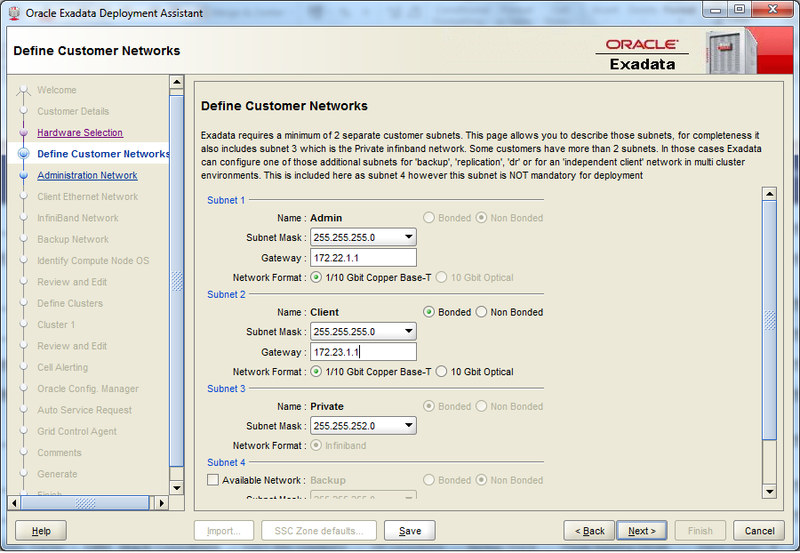 You should have separate network for admin and client as per best practice. 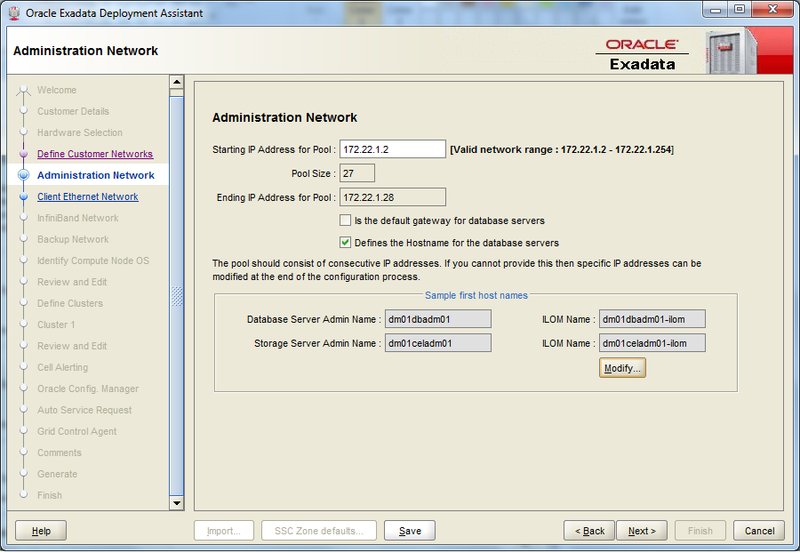 Provide starting IP for admin network. 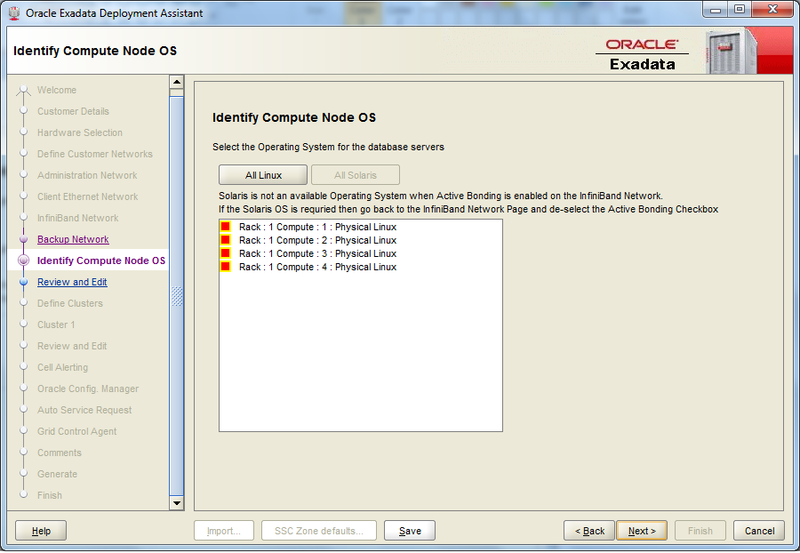 Here in modify tab you can modify hostname if required. 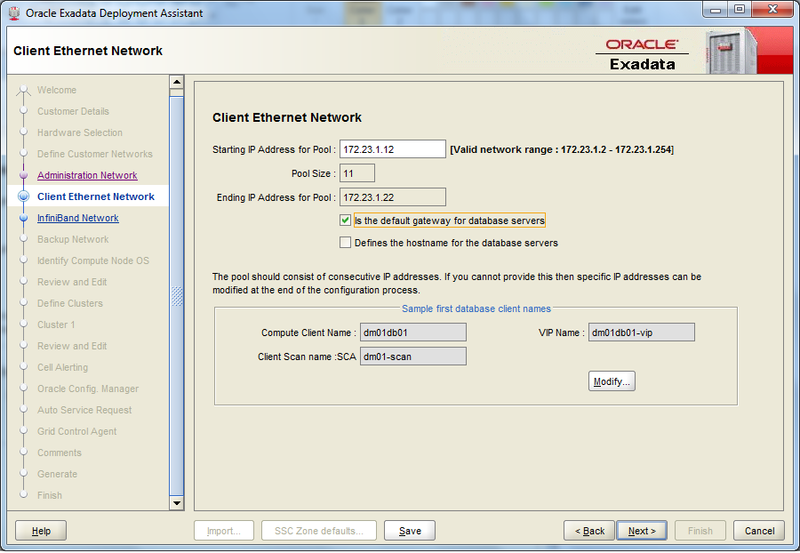 Provide starting IP for client network, here also you can modify client hostname if required. 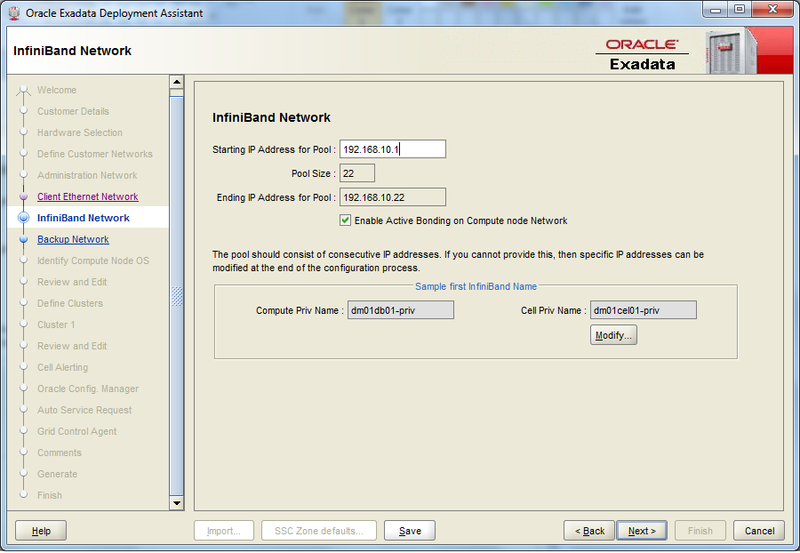 Infiniband network is private inter connectivity between server and storage so you can keep default IPs. 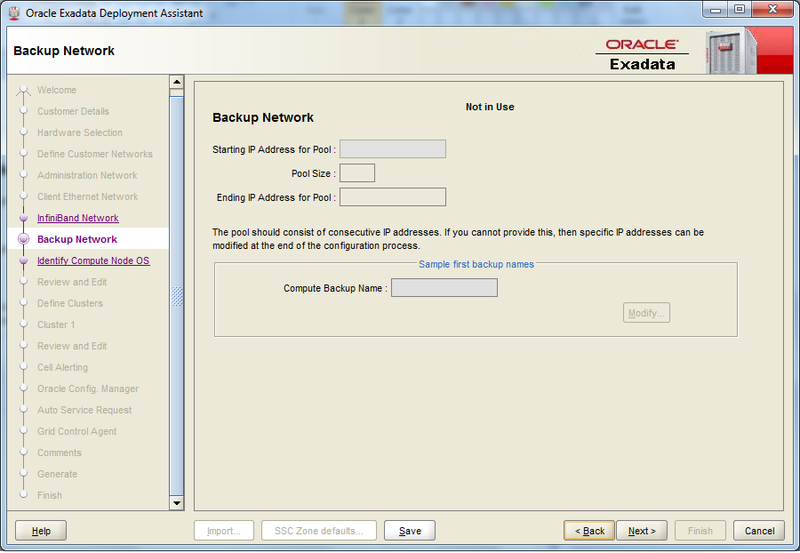 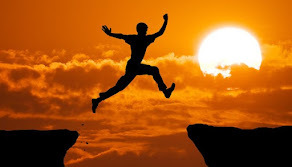 If you have seperate backup network then you can provide details for backup network. 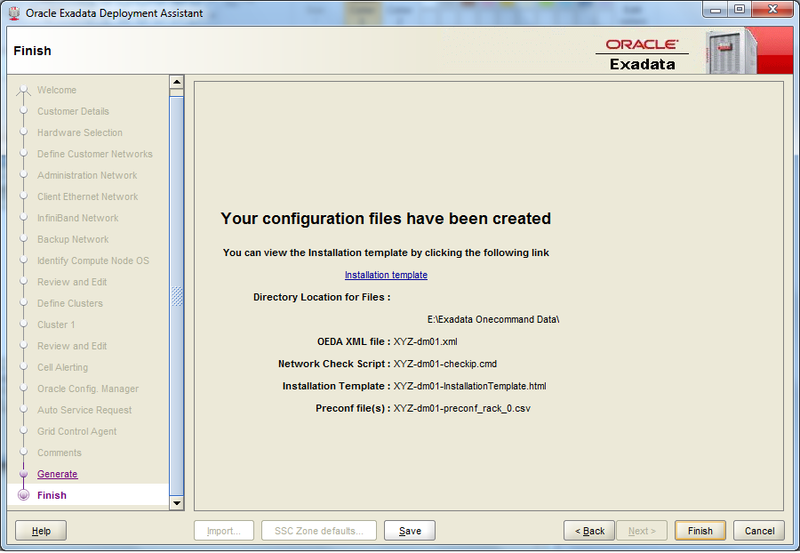 Select Operating system from Linux/Solaris. 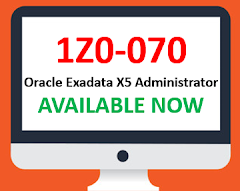 X4 comes with only Linux as of now. 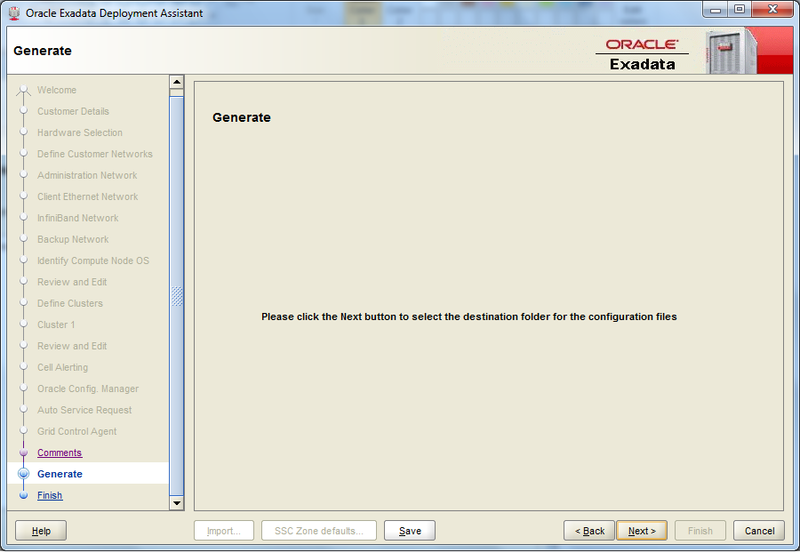 It will give overview of all the details which you have provided. 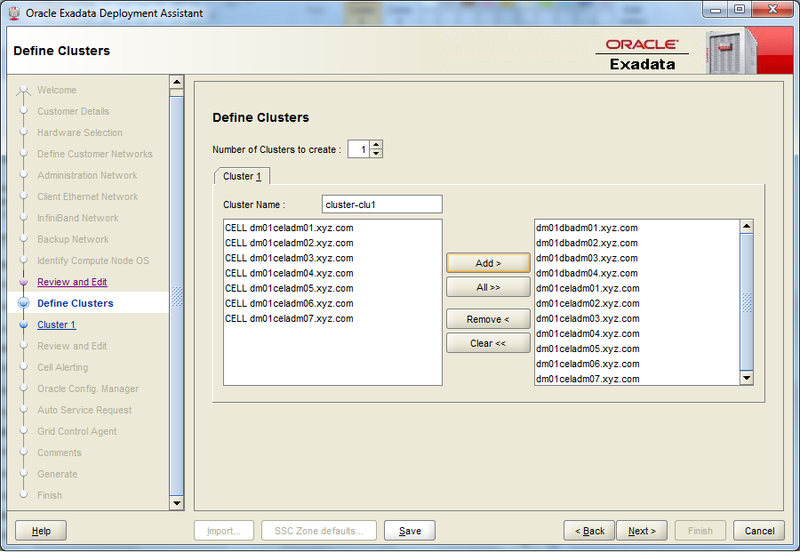 Define cluster name and components which will be the part of cluster. 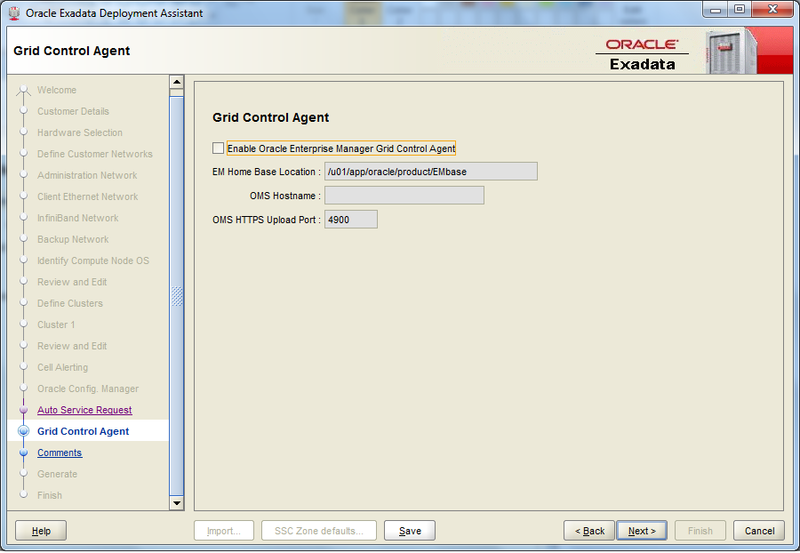 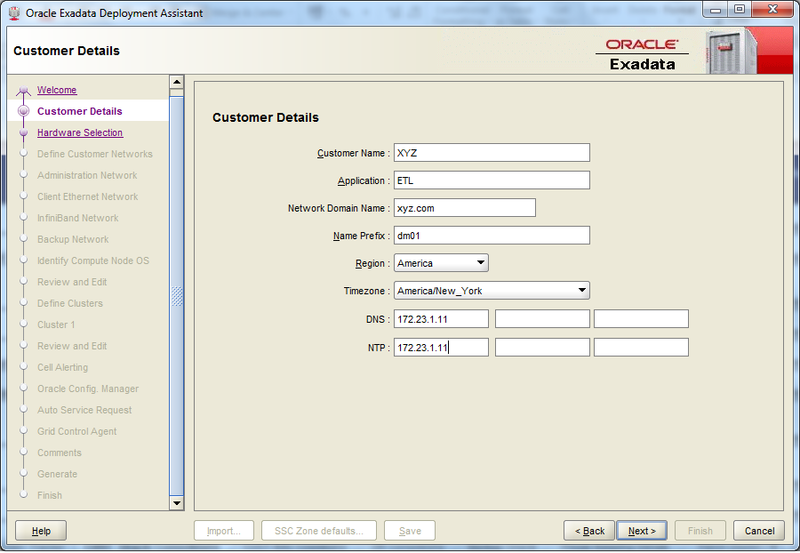 Provide Oracle User, Group, Oracle Version and Oracle Home related details. 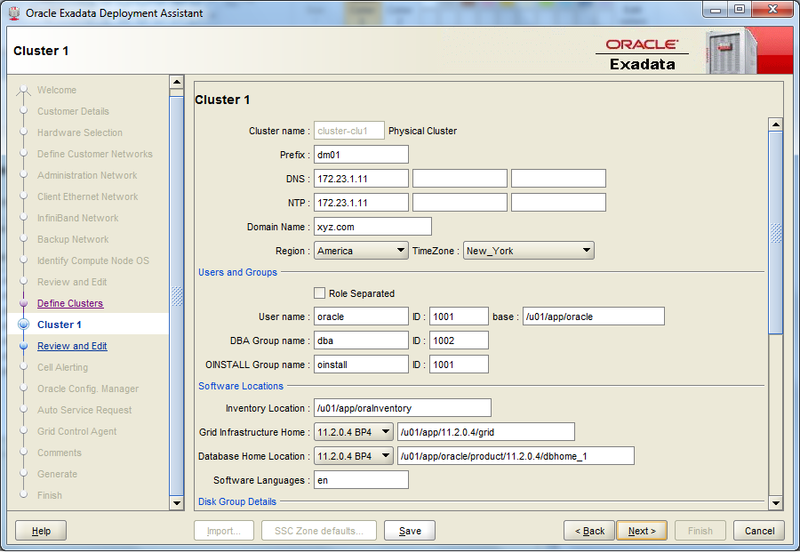 Also you have to mention ASM disk group name and storage allocation. 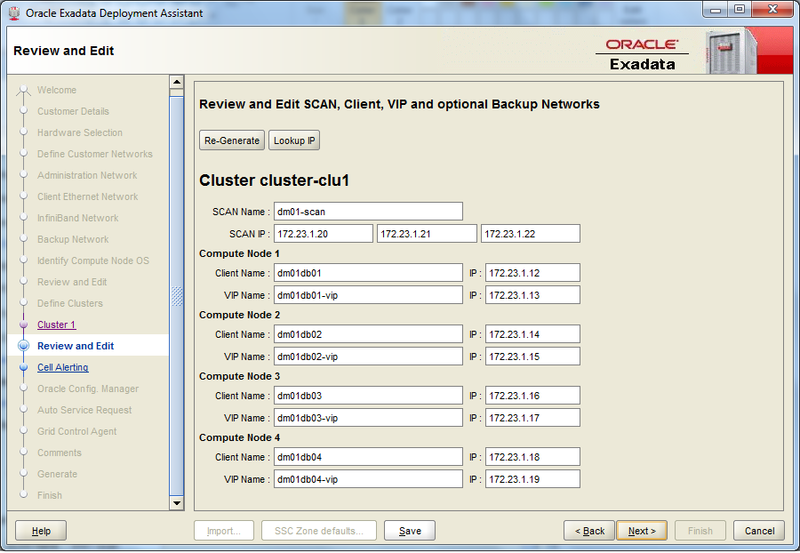 It will give the overview of cluster details. 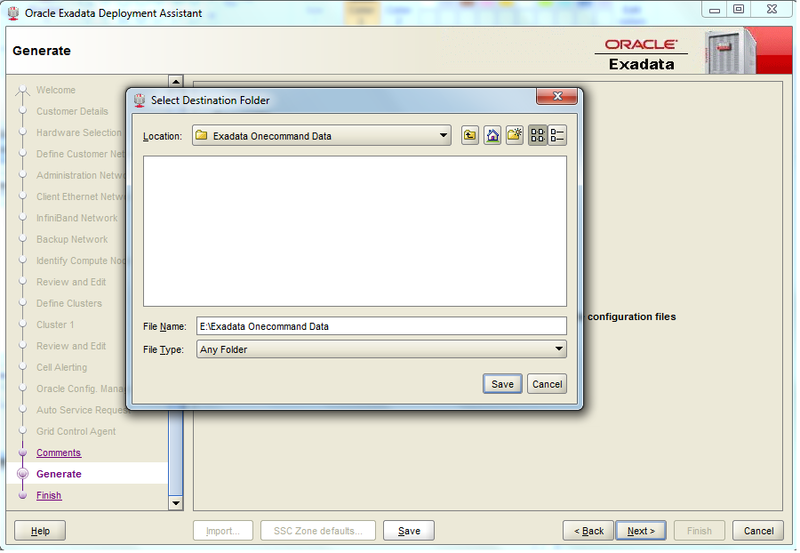 Generate the configuration sheet by saving the details to one folder.